Here we go the weekend is upon us! The Film That Started It All Blogathon! Keep checking back as I add the links to the blog posts for everyone who is taking part! So either comment below with your link, or send via twitter! This really is the ultimate teasing trailer . . .
Disney have really thrown out a tease with the trailer for the live action version of Aladdin. It is pretty much my favourite Disney film and I am a little bit unsure about the live action version. This teaser just shows us something we already know, and we get a small peek at Aladdin at the end . . .
Take a look at the films that are leaving Sky Cinema during July 2017. Catch them while you can, whether you love them or want to catch up with them before they disappear! Something always draws you towards the villains in Disney films. Maybe it just has to be that they get a truly great song! I am going to share with you my favourites here! Let’s face it Disney do very good bad guys and I certainly think that it has something to do with the actors they have doing the voices of those characters as it certainly is all in the voice, we are lucky enough to get so many of them. Which actually make you doubt if they are all that bad when they get such a great singing moment. Don’t forget to let me know which ones are your favourites! Where better to start than The Lion King with Scar’s moment! He was just a little bit jealous. Ok very jealous and could not really help being in the shadow of his King brother. Although no excuse what he did really, but we all have to love this song, Jeremy Irons voice! Cinema would be nothing without its villains. Not every story has one, of course, but from ordinary antagonists to world-conquering super villains, there’s usually someone to root against, and it’s often these characters that entertain us most, or most effectively drive a story forward. And almost always, these characters lose. Generally, this is what moviegoers want. We want to see compelling antagonists who are ultimately defeated by more relatable or morally admirable heroes. But that doesn’t change the fact that there have been a lot of movie villains over the years who seemed to have about 99.9 percent chances of triumphing in their respective conflicts. Here are seven such villains who never had any business losing, but graciously did so for narrative convenience. ‘ONE’ OF MY ALL-TIME FAVORITE CARTOONS BLOGATHON! 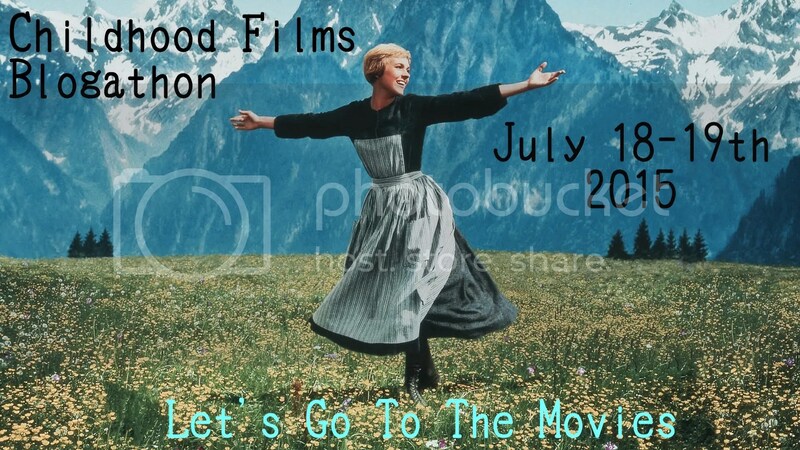 This Blogathon is being hosted by MovieMovieBlogBlog! Please leave me a message in the “Comments” section below that includes the name and URL of your blog, and the name of the cartoon you choose to write about. Below are banners to advertise the blogathon. Once you have completed Step # 1, please grab a banner, display it on your blog, and link it back to this blog. The blogathon will take place from Fri., Nov. 6, through Sun., Nov. 8, 2015. Once you have posted your blogathon entry on one of those dates, please post its URL in the “Comments” section so that I can link our blog back to it. I very luckily came across this Blogathon as it started this weekend and just really felt the need to write a post about one of my all time favourite cartoons. 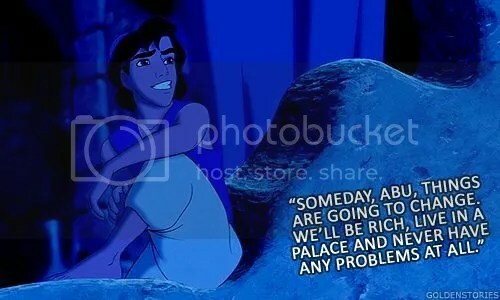 The first one that came into my head (I have probably mentioned it a lot of the blog) was Aladdin. It was the first film I went to see at the cinema as a small child and I still enjoy it to this day. I think it has a little bit of everything and is a lot better than some of the more recently released animated films. When putting together my 7 Childhood Films for the Childhood Films Blogathon I am hosting I realised that I had not actually put any animated films in! Now that is such a silly thing to do really considering animation is a big part of what you will watch as a child. So I decided to submit another post and have 7 animated films from my childhood in this blog post! I was never massively into the Disney Princess thing so that will just clarify why not many of them are included in this list. I was going to cheat and include Space Jam with it being part animated but resisted that temptation!